8 x 4" MINI PAK'R Air Pillows. Air Cushioning Rolls to use with your MINI PAK'R machine. 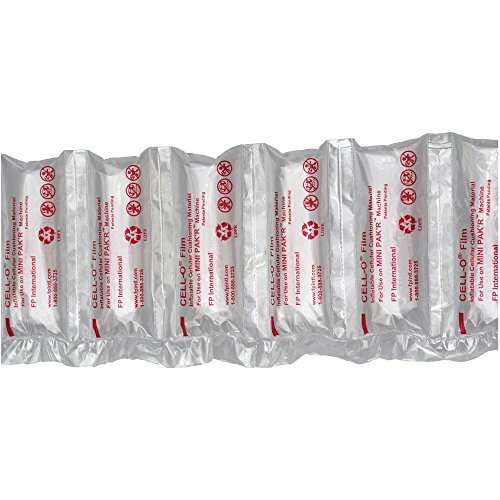 One roll of inflatable air cushioning film replaces 6 3/4 bags of 14 cubic foot loose fill! Air cushioning film technology allows air to move between pockets instead of popping, thereby eliminating deflated bubbles and potential product damage during shipping. Air Pillows are great for wrapping, cushioning and interleaving. 1.2 Mil.